USA is ranked #25 in math, and #17 in science out of 31 countries. 25 Years ago, USA was #1 in Graduation Rate, Today we are #17. As the nation’s leading school success strategist my aim is to forestall the academic failure epidemic, teacher turnover rate, and trillion dollars student loan debt crisis sweeping across America’s schools and colleges. That's why I'm irrationally passionate about inspiring students, parents, and educators to skyrocket their performance in school and life. I was born to two loving parents who ignited the fire for excellence in me at 6 months, by placing me in school. YES! I have been in school for 25 years! It sounds like a long time...I know! However, those academic years were crucial in my educational and professional successes and the reason for my passion for inspiring others. A MS Degree in Textile and Fiber Engineering from Georgia Institute of Technology (Atlanta, GA). Likewise, as a cool nerd, I was blessed to work as a Research Scientist for companies like Mobil Chemical Company, NASA Langley Research Center, and CIBA Vision (now Alcon). As an inspirational motivational speaker focused on Academic Success, Teacher Burnout and STEM Education, I've spent over a decade speaking at school assembly programs, educational conferences, and teacher training seminars. 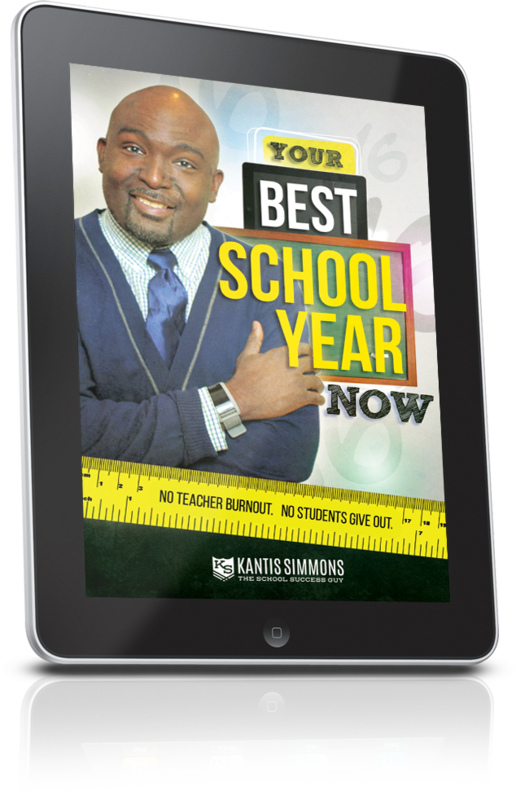 With over 25+ years of being a student, I have gained first-hand insight into what it takes to not only inspire students and educators but also fuel them with the momentum necessary for success. Also, I have had my own struggle with self-doubt. As illustrious as my accomplishments, I did not always think that I could. I struggled as many do with a low self-esteem and bouts of self-doubt. You see… I grew up with "stinking thinking" because of a birth defect that made me feel insecure and often, I thought, “I can’t… I won’t… and I’ll never!” This thinking kept me fearful and doubtful about my academics and my future career. However, after hearing (and understanding) a few words from family, mentors, books and educators; learning strategies for life success and personal achievement, I’ve turned my mess into my message and you can too! Like you, I’ve spent some time asking myself what can I do to challenge students and educators beyond being spectators of the learning process but rather full participants in their own success. What I’ve discovered, is students need practical success principles which they are able to swallow in a fun relate-able way (just like I did). “In my message, I strive to make my audience feel engaged, excited, and empowered."